Potato, Pergola, Padoga–What’s the Difference? 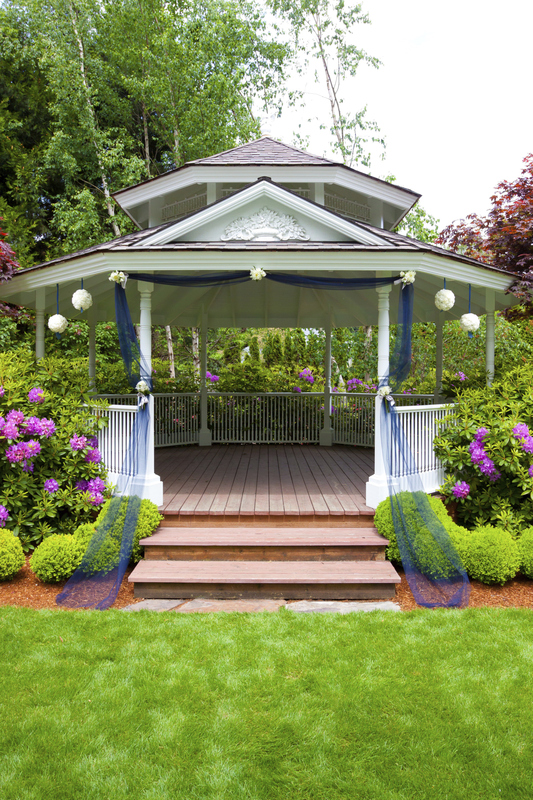 Gazebos are usually made of wood more frequently than padogas are. They also provide much more shelter, in terms of protection from rain and sun. Okay, okay, we know there’s a difference between backyard construction and a potato. But it can certainly be a tongue twister when you’re trying to discuss the dichotomy between pergolas and padogas. And even once you’ve differentiated them, what about a gazebo? How is that different, when it looks pretty similar? Since all of this can get kind of confusing, MAD Fence is here to help you out. Read on to pick out which addition is right for your deck! Pergolas are like awnings with gaps. The gaps provide places for sunshine to peak through, and you can also have climbing plants wrapping around the roof. These are more for decoration than they are for functionality, as they don’t provide adequate shade, but are beautiful when situated in your landscape. You can have a peaceful, open view of your yard when you choose a pergola. These are smaller structures that are very geometrically constructed. They have a specific silhouette that comes with the territory when you purchase a padoga. Usually square, these structures provide shade with a solid roof and enough room to place a ceiling fan or a lighting fixture. They’re not entirely functional as shelter, but they provide interesting decoration and work well on smaller decks. These are bigger pagolas! Well, kind of. Gazebos are usually made of wood more frequently than padogas are. They also provide much more shelter, in terms of protection from rain and sun. The ceiling is large, which means you can expand a little more. Hang a television, put in a couch, and make your own outdoor living space that’s entirely protected from moisture and sun damage. You could even hang some curtains in the open spaces, just for that added bit of privacy. Need one of these structures in your backyard? Call MAD Fence today!